Last year during PAX Prime we went hands on with Company of Heroes 2, the latest RTS from developer Relic - which is now owned by Sega. Right away we could tell the game was itching for official co-op support, but the development team was being coy as to whether or not it would be featured. Today the game has gotten a brand new mode in addition to the existing campaign and competitive modes called Theater of War - and it's designed around co-op play. 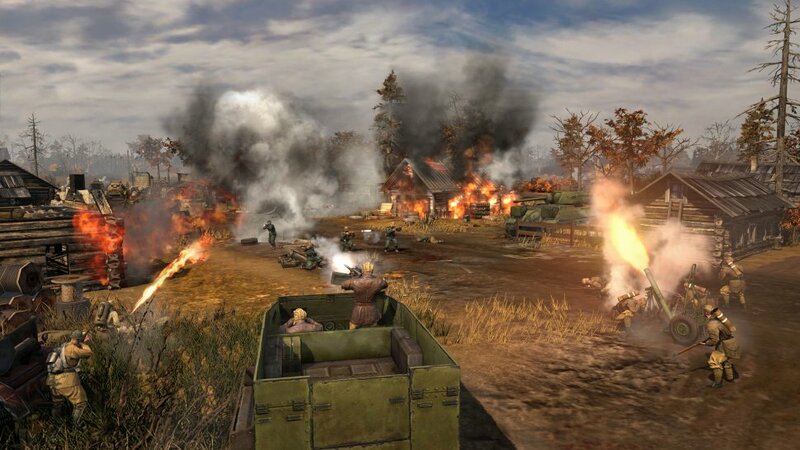 Theater of War in Company of Heroes 2 will include "key missions from battles in 1941" with players either siding as the Soviets or Germans. Each faction contains 9 missions which can be played cooperatively with more missions planned for the future. From the sound of it, some of these missions may feature a survival style gameplay mechanic, similar to the ever popular Horde mode. You know, the whole, never ending waves of enemies type of thing. Company of Heroes 2 is launching exclusively on PC on June 25th. There isn't a specific player count listed for the Theater of War mode, but we've reached out for more details.